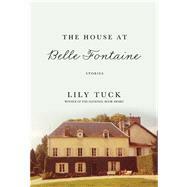 Lily Tuck’s The House at Belle Fontaine brings together ten of the award-winning author’s most exquisitely-wrought and captivating stories. These intimate tales traverse time and continents, revealing apprehensions, passions, secrets, and tragedies among lovers, spouses, landlords and tenants, and lifelong friends. In crisp and penetrating prose, Tuck delicately probes at the lives of her characters as they navigate exotic locales and their own hearts: an artist learns that her deceased husband had an affair with their young houseguest; a retired couple strains to hold together their forty-year-old marriage on a ship bound for Antarctica; and a French family flees to Lima in the 1940s with devastating consequences for their daughter’s young nanny. Lily Tuck is the author of five novels: I Married You for Happiness; Interviewing Matisse or the Woman Who Died Standing Up; The Woman Who Walked on Water; Siam, or the Woman Who Shot a Man, nominated for the PEN/Faulkner Award; and The News From Paraguay, winner of the National Book Award.